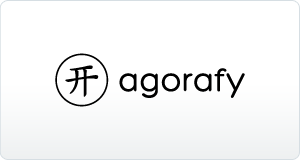 Agorafy is an open platform organizing and sharing real estate information in New York. We believe in creating value for real estate professionals by providing them with a wealth of knowledge at their fingertips, which can be accessed from anywhere, anytime. Spend less time retrieving information and more time on closing deals. Look-up and research every property in New York City, including on-market availabilities, owner information, and building, lot and public record details. Visit us at agorafy.com and get started today!